A gentle gradient from white through two shades of grey, two shades of cool blue, to a dark navy. Dyed as a blended gradient, so the colors will go back and forth at the transitions leading to a unique hand spun look when knitted. 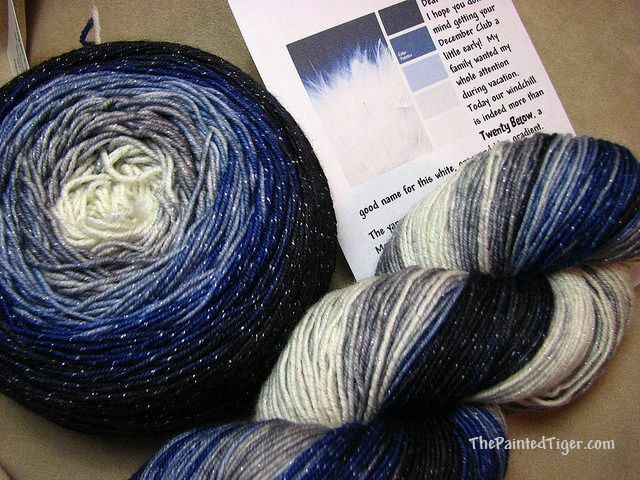 The lurex sparkle throughout lends a subtle twinkle to this cool colorway. 7-8 stitches per inch on 0-3 needles for socks. I recommend size 8-10 needle for a shawl, or go with what your pattern suggests. 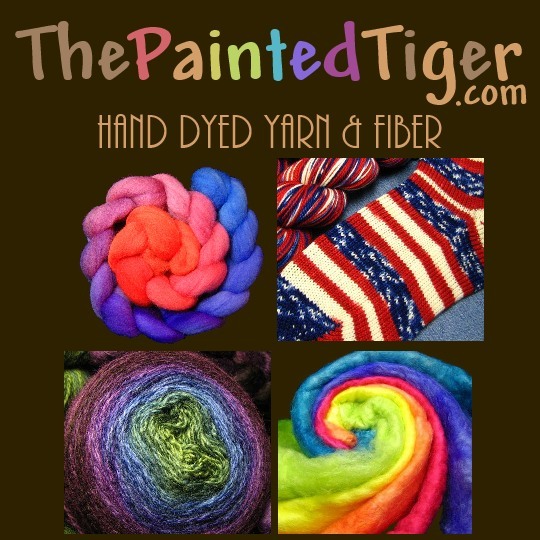 Hand dyed with Lanaset Professional Dyes for the best wash and lightfastness, using my own proprietary no-kink method.